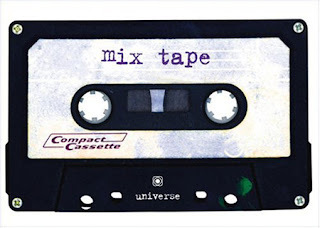 In the late 70's, the mixtape in hip hop was the only way fans could listen to recordings of their favourite artists in the absence of proper records for sale. Before hip hop became officially marketable in the early 80's, DJ's such as Afrikaa Bambaata, Grandmaster Flash and Kool Herc would make recordings of their gigs, then offer them for sale. Tapes could be tailored to individual clients, with many willing to pay premium prices for shout outs. Fast forward to the 90's and the LP had become the dominant form of money making rap recording. The mixtape became a vital medium for new artists to showcase their talent at a reduced price. The tapes often had low production values and a typically featured an extended list of shorter tracks. In addition, DJ's that were supplying the mixtapes had to find new ways to make the form a viable commercial interest to the public. This was achieved by securing exclusive remixes and freestyles over established beats at a time when hip hop was experiencing its golden era (in terms of quality, rather than money making). The growing influence of the internet changed the distribution of music in all genres, but had a particular impact on hip hop. The distribution of new music became easier, allowing for the rise of 'ringtone rap' with artists such as Soulja Boy and D4L becoming one hit wonders through the strength of youtube views. At the same time, the physical mixtape became less popular as a way to establish a fan base. Instead, new music was routinely uploaded to sites such as Myspace, allowing MC's to reach a large audience easily and quickly. The mixtape, however, wasn't dead. Sites such as Datpiff.com sprung up offering regular, new collections of music from established stars and newcomers alike. Owing to the free nature of the product, the downloadable mixtape is now a phenomenally potent marketing tool. Stars such as Wiz Khalifa and Mac Miller have used this medium to build large and loyal fanbases, offering popular mixtapes 'Kush and OJ' and 'Best Day Ever' respectively. Both of these have received well over 500,000 downloads, and translated into impressive album sales (Wiz's Rolling Papers easily achieved Gold certification, while Miller's Blue Slide Park became the first independently distributed debut album since 1995 to top the Billboard 200 in its first week). This success, however, had a sting in the tale. Both albums suffered lukewarm critical reception from reviewers and fans alike, with the common criticism that neither LP's were as good as the mixtapes that preceded them. Taking this into consideration, Wz has subsequently admitted that Rolling Papers was not 'creatively his best work', and promised fans to revert back to his former weed loving persona on new mixtape Taylor Allerdice. At the time of writing the project has accrued over 1.2 million downloads in less than 2 months of availability. It would seem, then, that rappers can struggle to maintain their focus and channel their talent under the pressures of releasing a physical product to sell. This could obviously have implications for future album sales as fans come to realise that the retail release will never measure up to the free collections littering their itunes. New artists aside, the popularity of free mixtapes has another implication for those already well established at the top of the game. After suffering two seizures in late 2011, Rick Ross postponed the December release of studio album God Forgives, I Don't, feeling he wasn't in a position to promote the LP effectively. Instead, he released Rich Forever, which quickly became one of the most downloaded mixtapes of all time. Tracks clearly intended for GFID can be picked out from Ross' frequent references to the album title in some of his rhymes. The track listing features a litany of hip hop heavyweights guesting alongside Ross, including among others Nas, Diddy, Pharrell, Drake, Kelly Rowland and almost the entire MMG roster. Production is handled in part by familiar names such as Justice League, Lex Luger and Beat Billionaire. The point of this is that by making this project available free, Ross has rewarded loyal fans, but also raised questions about the value of his upcoming studio album. It is difficult to imagine that God Forgives, I Don't won't feature various A List guest rappers assisted by MMG stalwarts, backed by lavish production with Ross waxing lyrical about his luxurious life, selling drugs and generally living out the gangsta fantasy. Which is exactly what we find on Rich Forever. If the physical retail release isn't going to expand on the free mixtape, what motivation do fans have to buy it? This perhaps explains why Rich Forever has well over a million downloads, but Ross has never had an album break 200,000 in sales in a first week performance, or had an LP break the Platinum mark of a million sales. This is not a problem confined exclusively to Rick Ross. Game has recently brought out a mixtape with over 50 guest spots that has easily eclipsed the first week sales of his last album. Ace Hood, despite accruing more than 250,000 downloads in less than a month of his new Starvation mixtape, has never cracked 30,000 first week sales in three separate studio album releases. My point is that, in moving to free internet distribution, the mixtape is continuing to be a major influence on how hip hop music is distributed, asking profound questions about the future of retail album sales. It may be the case that rappers are being forced to move away from traditional methods of gaining financial reward for their craft, and instead will be relying more and more on live performance, merchandise and royalties.